What a great photo. Hope 2010 brings joy and happiness. .-= Jan´s last blog ..Who remembers the Y2K bug? =-. Facebook thinks today is my birthday, which it isn’t, LOL. As long as it doesn’t mean I’m really a year older. Have a wonderful wonderful New Year! Great photo and if you can train her to actually blow that party tooter, or whatever they’re called, I’ll be thoroughly impressed. 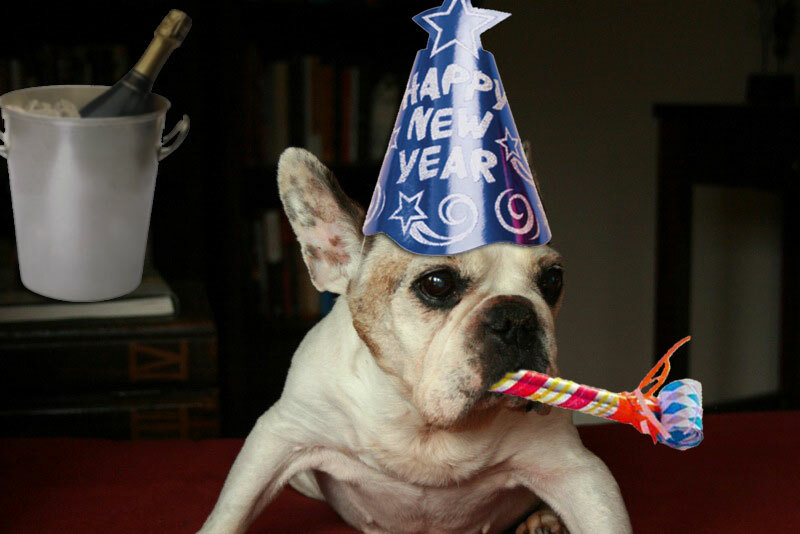 Wishing all the Bullmarket frenchies and family a healthy, happy and prosperous New Year.